An epic journey of a half Cheyenne Indian and half White that changed the course of all the Indian Nations and the Attitude of the white man during one of most turbulent and violent times in the American West. Based on actual locations and true events of the times. White Arrow had only seen the sweat lodge once at the Greasy Grass and was used by the great chiefs but knew of its purification and purpose. 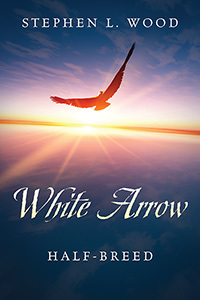 White Arrow knew, in order to have his vision, he would need to rid himself from all the inner animosities, racial dislikes, and clear the white man’s ways from his own spirit. He found his site as the sun was setting and using green willow, started setting his sweat lodge that evening. Using the willow, he formed a small, domed enclosure and covered it with the branches from the hööhsétõ (trees). Marshal Windfield dismounted and grabbed Kick-A-Stick by his gray hair and started beating him around his upper body. Kick-A-Stick, knowing his life was ending, started his death song that was but a whisper, and shortened by a gunshot to his head by the marshal. The entire Cheyenne group fell to their knees, even the badly injured started the wailing death song seeing their elder murdered outright by a United States lawman and all his deputies do nothing to stop the killing. They arrived in Billings at 1 P.M. and went to their hotel where a large picture of him and his son was hanging in the lobby. They then went to the newspaper office to meet Kent Austin. As White Arrow entered, everyone in the office started applauding and came over to shake hands with their hero. Pricilla was surprised that her father was so well known and thought of. It was a side she had never witnessed and stood very proudly at his side. Introductions were made, and a picture was taken of them standing together. It would appear in Monday’s edition after Pricilla’s recital. Stephen has written five other books. All self-published non-fiction western history distributed locally and via Facebook. This is his first Historical Fiction. Steve has written several other short stories, all non-fiction, of western history or events. He is a student of the first American peoples, and the Whiteman’s migration west. About the Author Born on a dirt farm in the sand hills of eastern Colorado in 1942 his father, a share-cropper, Steve grew up knowing what hard work was. After his three boys were on their own, Steve and wife Jan bought land in a very remote mountain area in the high Colorado Rockies where they built their small ranch, all off grid, and have resided for over forty-seven years. 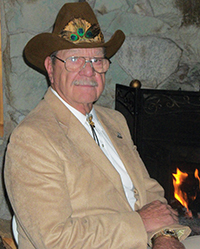 Steve was in upper management for three trucking companies and a member of the Colorado Motor Carriers Association (CMCA) where he gave many talks in relationship to his industry. He loves public speaking and has served him well in the many book signings and readings he has had promoting his work.